As one of the most commonly used spices, pepper is a kitchen staple throughout the world. It adds a kick to any dish and we especially love adding a dash of it to boost a recipe’s flavour profile. Pepper also has a list of health benefits including improving digestion and helping to break down fat cells. We prefer using peppercorns and grinding them ourselves for a fresher taste. 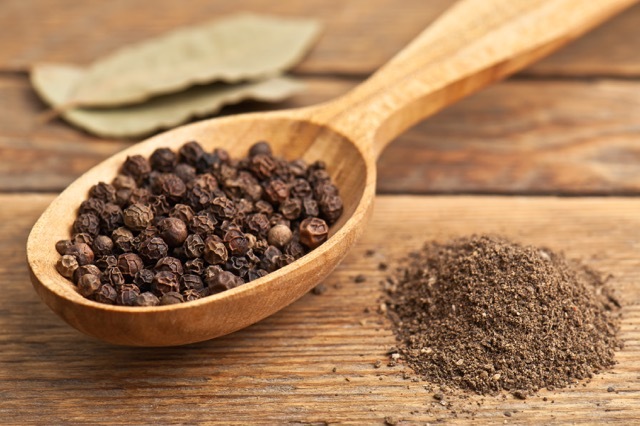 Peppercorns come from the fruit of a flowering vine in the Piperaceae family that are dried to use as a spice. When using peppercorns, a pepper mill is a must. As variety is the spice of life, there are pepper mills for every décor taste and every chef. We have rounded up some of our favourites models, which make adding a dash of fresh spice simple and stylish. Crafted from wood and stainless steel this is a go-to mill used by many chefs. The carbon steel blades are extremely sharp, making grinding effortless. With a lifetime guarantee this one will last forever. This stainless steel pepper mill does the work for you with one push-button for electric grinding. This is ideal for outdoor cooking, over the grill or near a campfire, with its LED light. Handcrafted in Quebec from Canadian tree branches, this pepper mill is not just functional but visually pleasing. This automatic mill is equipped with Crush Grind blades, constructed from ceramic for easy cleaning. The set comes with a pouch of pepper mint or pepper cedar to get you started. Crafted from beech wood, this French mill features a brushed stainless steel top nut and a manual mechanism inside with two stages for guaranteed freshness. This pepper mill also has a lifetime warranty. Whether you choose a manual or automatic version, a stainless steel or a wooden pepper mill, this is one kitchen investment that will last you a lifetime, while adding delicious flavour to all of your meals.